A beginner’s mind should keep its distance from bad company and draw near the virtuous and wise. 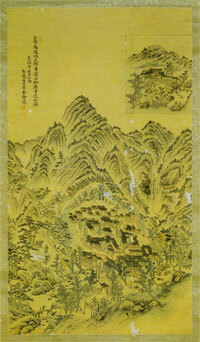 When you receive the Five or Ten Precepts, you should learn well when to keep and when occasionally overlook them. From now on you should depend solely upon the words of the Buddha and pay no more heed to the senseless comments of ordinary men. Now you have renounced the world to join a pure community. Therefore, you must continually aspire to gentleness and harmony but without considering yourself superior to others. Treat your elders as elder brothers and younger persons as younger brothers. If there should be a quarrel, harmonize the views of the two parties and reconcile them with compassion alone. You should not injure others with abuse. If you scorn your fellows and bicker over what is right and wrong, then your renunciation will have been profitless. The temptations of wealth and women are worse then venomous serpents. Therefore, examine yourself, understand your weaknesses and keep away from these things. You should not enter the dwellings of others unless you have something important to do. While in private homes you should not pry into the affairs of others. When it is neither the sixth, the sixteenth nor the twenty sixth of the month, do not wash your underclothes. When washing your face and rinsing your mouth, do not noisily blow your nose or spit. When a meal is served, you should not deviate from the customary eating procedures. While walking do not unloosen your clothing or wave your arms about. As for talking, you should neither joke nor laugh with a loud voice. When there is no important business to do, you should not go out of the temple gate. When someone is sick, you should care for him with compassion. On seeing a guest, you should welcome him gladly. And on encountering elders you should respectfully make way for them. Use simple eating utensils and learn how to be content with what you have. You should not make any noise while eating. In taking and replacing spoon and bowls, you should be calm and careful. Do not raise your head and look about. You should have no preference for fine food and dislike for coarse. Try to keep silent and discard distracting thoughts. You should understand that you take food and wear clothes only to protect your body against illness so that you can then progress along the Way. When reciting the Heart Sutra be sure to always recollect that the giver, the gift and the recipient are all pure. In this way you can awaken to the Mind. Never allow these circumstances to give rise to greed. It is essential to attend the morning and evening services as well as the ‘rice offering’ at midday. Be diligent in your attendance, make a point to never miss a service; and scold yourself if you are lazy. While attending a service together with the assembly of monks, you should know the proper order of the prayers being chanted. Above all, do not misbehave. When chanting and praying, recite the words clearly and ponder their meaning. Do not merely follow the sounds and do not chant out of harmony. 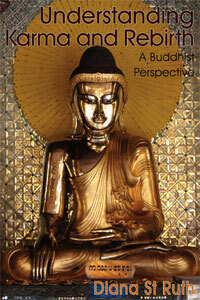 When paying homage to the Buddha, do not allow diverse thoughts to arise. You should be aware that your own misdeeds are as heavy as a mountain and as deep as the ocean. Thus it is important to repent. By awakening to the Mind, repentance is achieved by means of the Truth-principle. 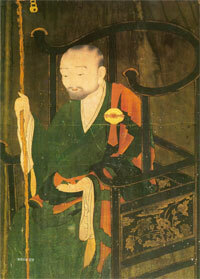 By praying before an image of the Buddha, repentance is realized by means of form. In both of these ways, your faults will be completely purified. Your paying homage to the Buddha proceeds from certain conditions latent within your true original nature. These are deep impressions that you have received from the Buddha. And they were not received in vain. They are like sounds near a mountain that will be followed by their echo. When living together in one hall, you should make concessions to each other and pick no quarrels. You ought to help and protect one another. Refrain from always trying to get the upper hand. Refrain from gathering for idle talk. Refrain from putting on another person’s shoes by mistake. Refrain from sitting or lying down elsewhere than in your assigned place. 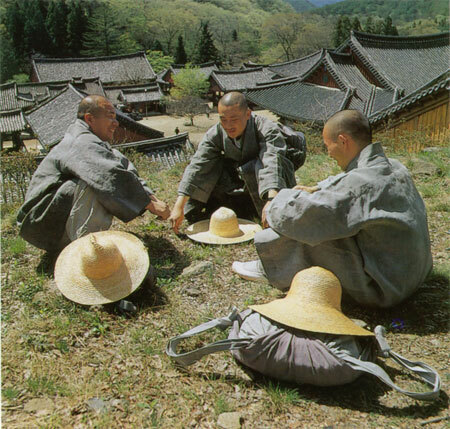 When talking with a guest, you should desist from exposing the faults of your monastery; instead, just praise the Buddhist activities carried on in the monastery. Avoid going to the storeroom or seeing and hearing improper things that may give rise to doubts. You should not roam in the District nor wander about in the Prefecture unless you have important business to do. Do not incur people’s enmity through associating with the laity. For this may result in your losing interest in self-development. If it is necessary to go out on business, you should first tell the abbot or the leader of the hall and let him know where you will be going. If you enter a lay person’s house, you should be earnest in maintaining the correct attitude of mind. Be careful not to become distracted by looking at colours or listening to sounds. On no account should you loosen your robes or banter back and forth, talk confusedly about trivial matters or eat and drink when it is not time. Avoid such foolish and carefree things which cause you to transgress the precepts of the Buddha. For how could you ever be considered a wise person, once you have fallen under the suspicion of those who are most worthy of respect. When you are staying in the meditation hall, do not develop ‘special’ friendships with younger monks. Refrain from going in and out to greet people. Try not to discriminate between the right and wrong in others. Do not be concerned with words and letters. Refrain from sleeping too much. And avoid causing any confusion through being an interference to others. When a master is delivering a lecture from the high Dharma seat, do not think that what he is teaching is too difficult and thereby cause your mind to become discouraged and unreceptive. Moreover, do not consider what he says to be easy simply because you have often heard such discourses in the past. Just empty your mind of thoughts and listen with the utmost attention: these will definitely act as the conditions for awakening. You should not follow those who study words and who preach to others without understanding. It is said that the water a cow drinks produces milk while the water a serpent drinks produces poison. 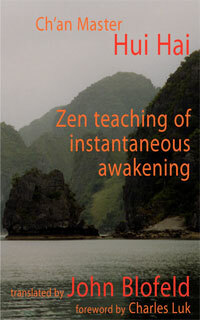 In a similar way, wise training produces awakening while foolish training only gives rise to birth and death. You should not think ill of your teachers. Such thoughts will disturb your meditation and prevent any progress in your practice. In this respect you must be most careful. For example, if a wicked person offers to carry a torch for someone journeying at night, but the latter refuses the service of the light because he knows the bearer to be wicked, then he would surely fall into a hole. Similarly, when listening to a discourse, direct your attention upon the profound and subtle Dharma being expounded, without thinking critically of the teacher. Try to free your mind from all delusive thoughts and just deeply contemplate the meaning of what is said. Even after the lecture is over, you should continue to reflect upon it. If doubts arise, do not hesitate to extensively question the master. Should you be perplexed about something in the evening, then inquire about it the next morning. Thus will you avoid falling into error. Moreover, in this way you will create the conditions for genuine faith to arise and will become to be considered as one who pursues the Way. Desire, anger and ignorance have been accumulated since beginningless time and are deeply ingrained in your mind. Although sometimes they appear subdued, like a malaria that attacks on alternate days, they always reoccur. At all times intensify your efforts; apply the power of skilful means and wisdom, and thus protect your mind from the arising of these three mental poisons. So why do you waste your time by lazily indulging in useless talk? Do you think you can just wait for an awakening to the Mind and liberation from the ocean of suffering to happen? Therefore, be strong willed and scold yourself for being lazy. Clearly recognize your own faults and make efforts to rectify them. Apply yourself to the controlling of the confused mind. Through diligently practising meditation, the strength of your insight will gradually deepen. With a regular practice, the path ahead of you will be smooth and undefiled. 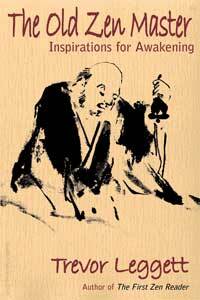 This Dharma of awakening is difficult to come across. Yet by constantly reflecting on it, the way always appears to be new. By cultivating a happy and contented mind, you will be prevented from finally turning back (out of discouragement). Through practising meditation over a very long time, your Mind will naturally appear bright. In this way, you will come to awaken to your Mind, and out of compassion set out to save all other sentient beings. Thereby, you will become a vast field of blessings for men and celestials alike. I urge you to exert yourselves in earnest. Thanks a lot! 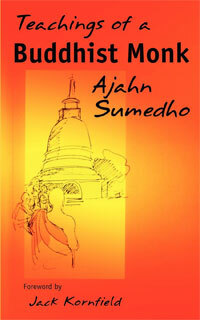 Although I’m not a monk, but it’s very useful to read! Such simple, yet wise words.